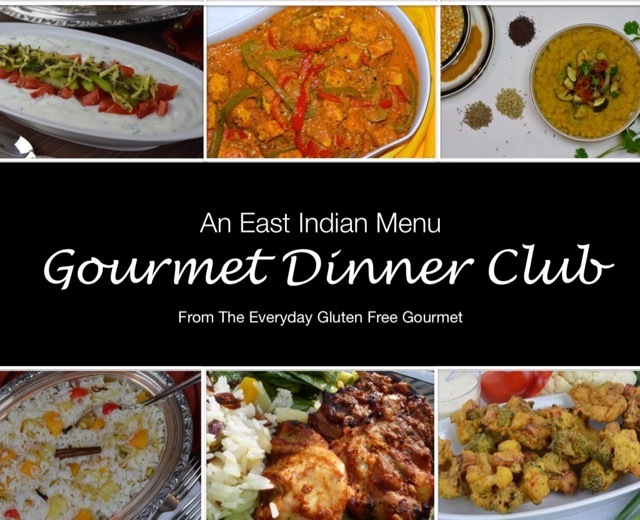 Are you part of a Gourmet Dinner Club or would you like to start one? This is the perfect idea for people who have dietary restrictions. Design a dinner group around your unique requirements and the rest is up to you. What are you curious about; cuisines from countries you’ve never visited, how wine should be paired with food or what to do with those weird spices? Would you like to try those restaurant specialties without the concerns associated with restaurant dining? Then it’s time to start your own Gourmet Dinner Club. To me Gourmet Dinner Club is the night when you go ‘all out’ for dinner. Creating a tablescape to suit the occasion, planning a multi-course menu and making that challenging recipe you’ve always wanted to try. Whether we are searching for unusual ingredients or planning a menu theme with food from a lesser known country it’s all about stretching your culinary skills. It’s all about adventure. But at the heart of it we are sharing good times with good friends. The term ‘gourmet’ means different things to different people so don’t let that intimidate you. Redefine what you think the word means and get creative. Set the table with newspaper and host an East Coast Lobster Fest or have a Fish and Chip Tasting to compare three batter recipes and techniques for making French fries. Or maybe plan a dinner of Homemade Fast Food using the freshest ingredients available. Try the fancy multi-course meal including wines paired with each course if you want. The possibilities are endless. To start a Dinner Club simply find some like-minded people and set a date for dinner. You will undoubtedly revise and modify your criteria and guest list so there is no need to over plan. Here are a few tips from my long-standing ladies Gourmet Dinner Club. The host chooses the theme. 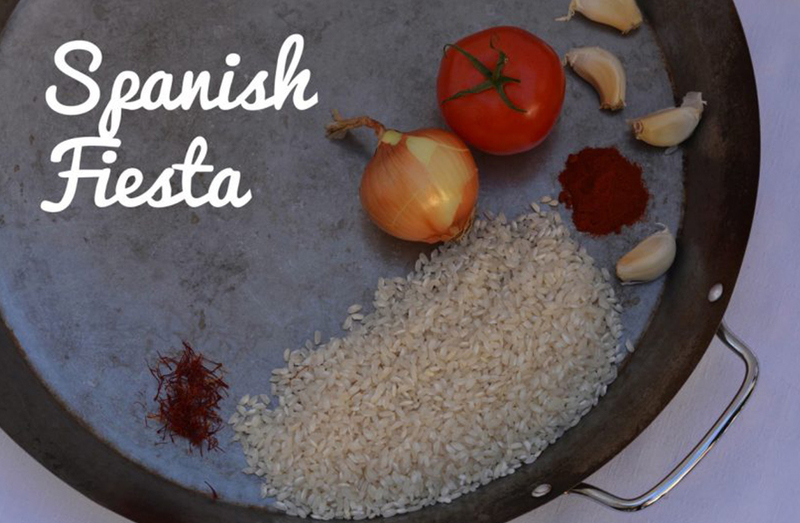 Start with a country or a type of cuisine. Maybe a menu inspired by a favourite chef or with a seasonal theme. Consider planning a meal from a cookbook. One book and it’s done! Cookbooks are readily available to purchase and the library is full of them too (in case you didn’t know). The host creates the menu, cooks the main course and provides the wine. The host then distributes the list of the remaining courses (appetizer, vegetable & side dish, dessert) and lets others choose their recipe. Send out one email and the first to respond gets to choose the dish they want. Don’t take it beyond fun. Store bought items may be acceptable, you make the rules. This naturally lends itself to a weekend event and can be as elaborate as you like. 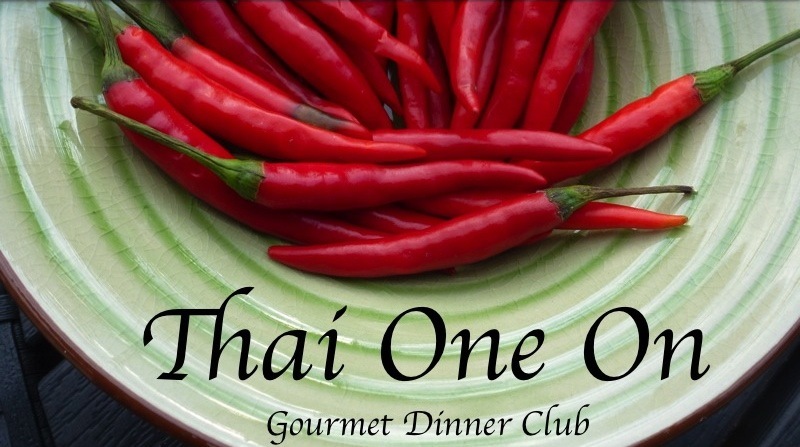 If four couples meet every other month you only host Gourmet Dinner Club once every eight months. I think this format makes the effort of planning the menu and table setting sound much less daunting. Just do the parts that sound like fun, the parts that are worth the effort to you. Whether you are a part of a couple or not you may be the only one interested in this idea. No problem. With the busy schedules we all have these days my long-standing Ladies Gourmet Dinner Club meets on a weeknight, but sometimes on a Friday. We take turns planning the menu and have a multi-course meal still following the guidelines listed above. We drink a little less, end a little early and we all absolutely love it! And some years, on a very special occasion, we invite the last husbands standing. Admittedly I am a foodie. Foodies have gourmet dinners for fun. Foodies talk about food, share photos of food, cook, follow food trends, pay enormous sums of money for specialty ingredients and search out hard to find ingredients. My Gourmet Dinner Club has a lot of stories about huge successes in the kitchen and hilarious food failures. And they all include a lot of laughs and memorable moments. What if your friends aren’t interested? Use social media to find those like-minded people in your gluten free community. For your Dinner Club you set the rules and then you decide who gets voted off the island. I can’t wait to hear your stories and see some photos. Whether you find yourself flambéing saganaki for Greek night, piping profiteroles for a fancy French dinner or grinding curry paste from scratch for a tantalizing Thai curry focus on fun in the kitchen. Let me know in the comments below if you hosted a dinner with one of these menus or if you officially started your own gluten free Gourmet Dinner Club. Hi Catherine, I’m glad you found this post interesting. Your site looks great…what a fun school project. There are so many foods to try from around the world, French cuisine is wonderful. My high school French is not good but I must try…la nourriture est très bonne. Your article is very interesting, thanks for the information! I wrote an article about traditional cuisine in France and particularly about Pyrénées on my website: There is different activities to cook or grab a bite.